…to sweet butternut .As we’re still not cold enough for those marvelous tasty pumpkin soups and cottage pies, My result, this warm pumpkin and chickpea salad. This recipe is a winner in taste and time. Around ten minutes of preparation and 25 minutes cooking time for the pumpkin all can be down in a turn of your kitchen. Preheat oven to 200°C. Toss pumpkin, garlic, oil and seasoning together and spread in a single layer on a oven proof paper tray.Season well with salt and pepper bake for 20 –25 minutes, until golden and tender. 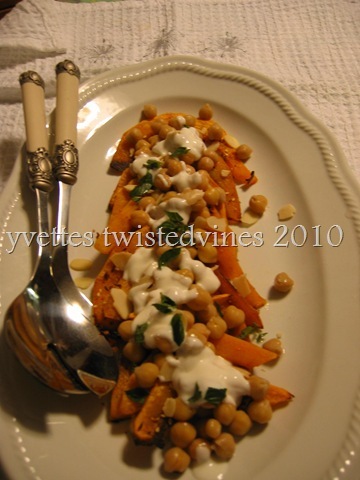 Transfer roasted pumpkin to a large platter, arrange chickpeas, mint and almonds on top of pumpkin. Combine dressing ingredients in a small bowl. Drizzle a little over pumpkin and serve remaining dressing separately. 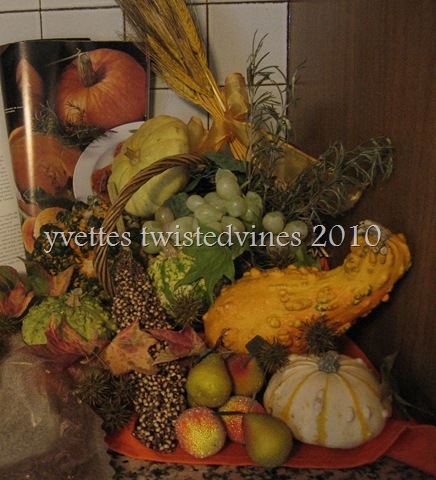 A great start to our Autumn and colourful pumpkin season. Thanks to Alicia who hosts Tasty Tuesday Bloghop on A Beautiful Mess check out her Peach Crisp recipe, and take a look at some wonderful and talented works for Tasty Tuesday. Sounds interesting. 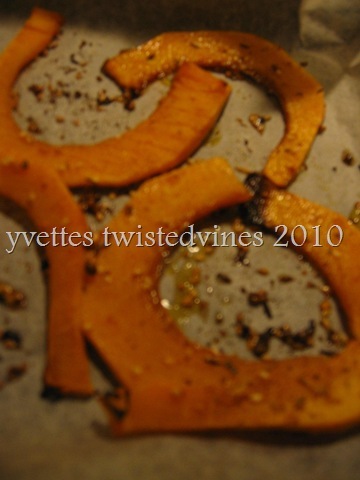 I’m always looking for new ways to eat pumpkin. And with chickpeas? Thanks for linkin up to tasty tuesdays. I adore pumpkin and chick peas! Thanks for the great recipe, Yvette! thanks for calling by…an easy one,let me know if you try it! I never would have thought of making a salad with pumpkin! Although the cold days are upon us here, I might make this as a lunch to take to work, it sounds delicious! Its a great quick lunch and really tasty….if you take it for work you might like to take the yogurt dressing separately and pour on fresh! More pumpkin! Yum! 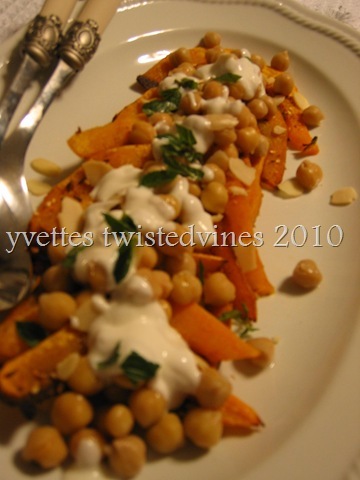 I love adding pumpkin to salads, and in fact I’ve had pumpkin w/ chickpeas at a middle eastern restaurant. Looks fantastic. More pumpkin yes, part of my life at the moment…pumpkin soup is on tomorrow’s menu…! Pumpkin soup? Oh, I haven’t made that since last fall… I think it might be time to pull that one out of the old recipe book. A delightful & festive presentation of this tasty & wonderful well-flavoured dish!